After months of preparation, we’re back in Italy again. This time around we’re celebrating my husband’s 50th so we’re spending more time here and we’ll be visiting his hometown of Genoa this time. We’ve only been in Milano for a two days but the first one was spent catching up on sleep. 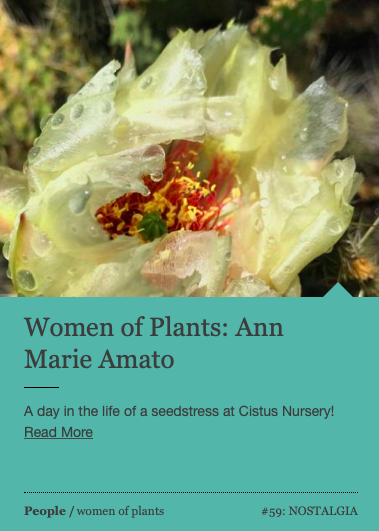 Today was our only day to see the sights, and as usual, I was looking for signs of plant life, gardening, and Sicily. 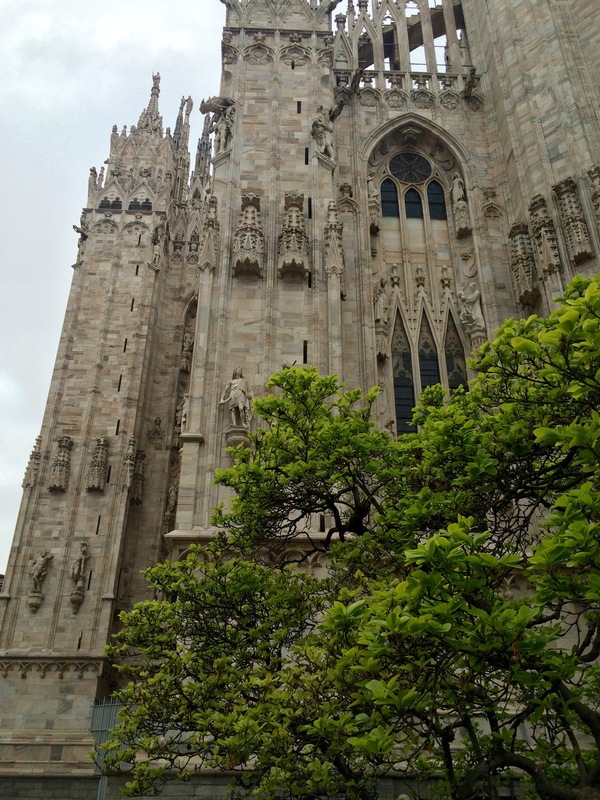 Tomorrow we leave for Genoa so here are a few fun things I’ve seen today. 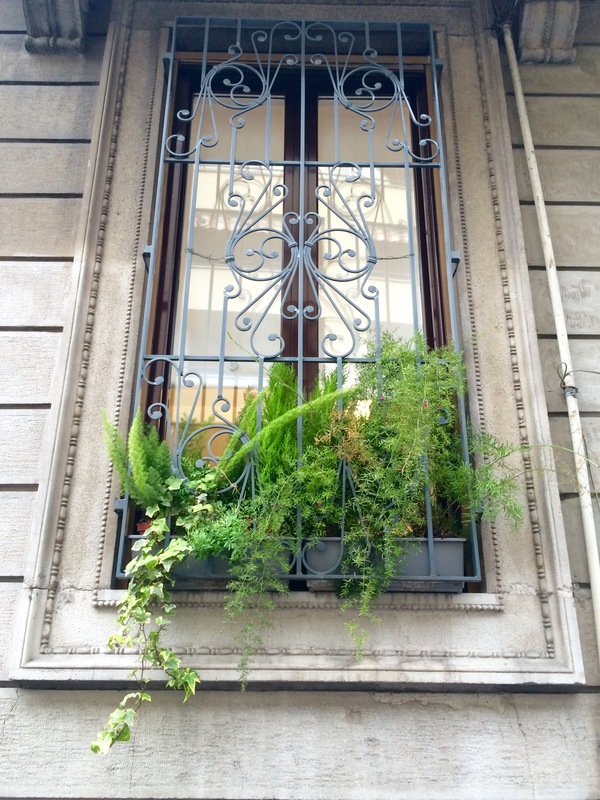 By far, the most unusual thing we found today was fashion inspired by a variety of Sicilian planter. I am not joking. Thank you Dolce & Gabbana. 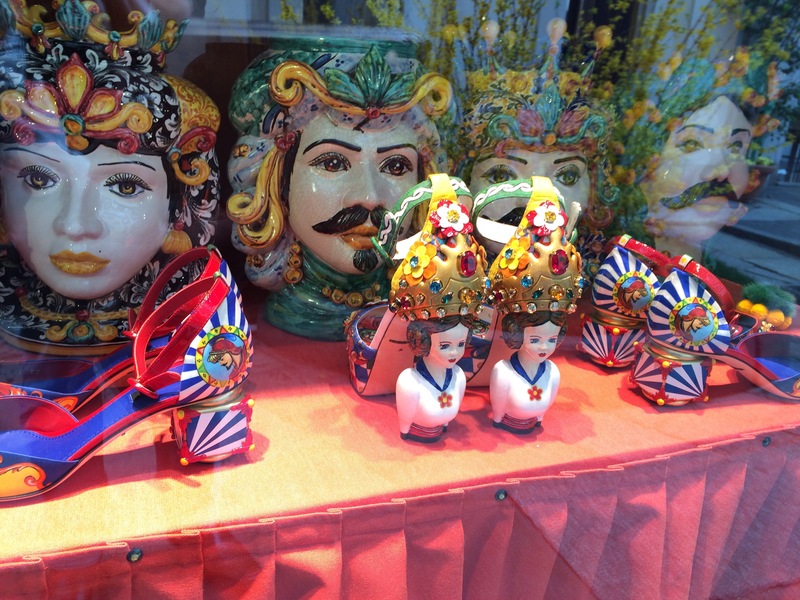 The shoes are clearly in the front, and the heads you see behind them are the planters. Yesterday I saw this fun planter outside of a hotel. 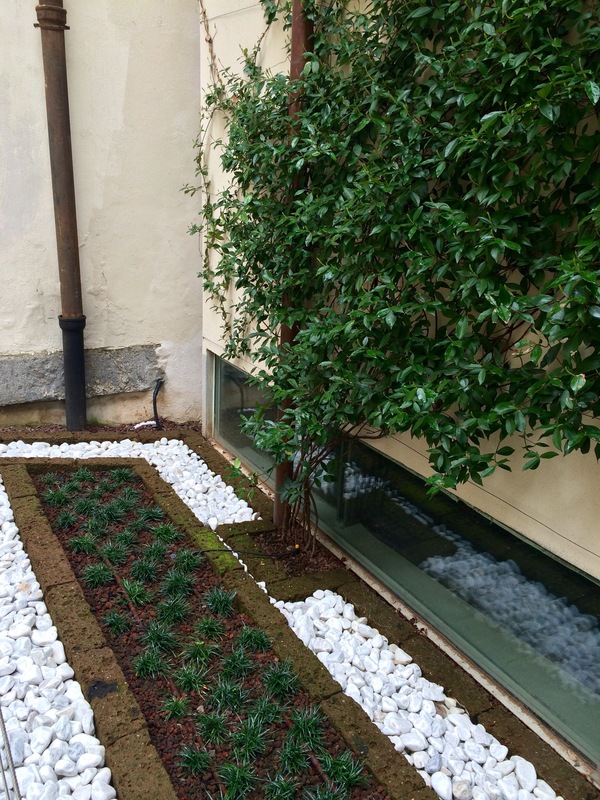 I want to call it “giardino di casalinga” or housewife’s garden. 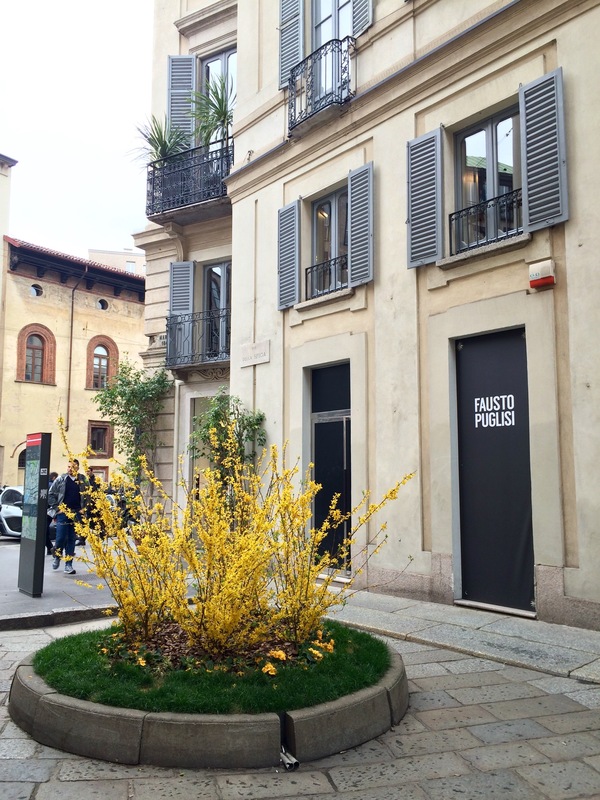 Sure, Milan is full of fashion, but this is Italy after all, and Italians have a sense of humor too. Upon leaving the hotel this morning to take a short walk to the center of town I found this window box and I think it’s the perfect low maintance look. Let’s face it. 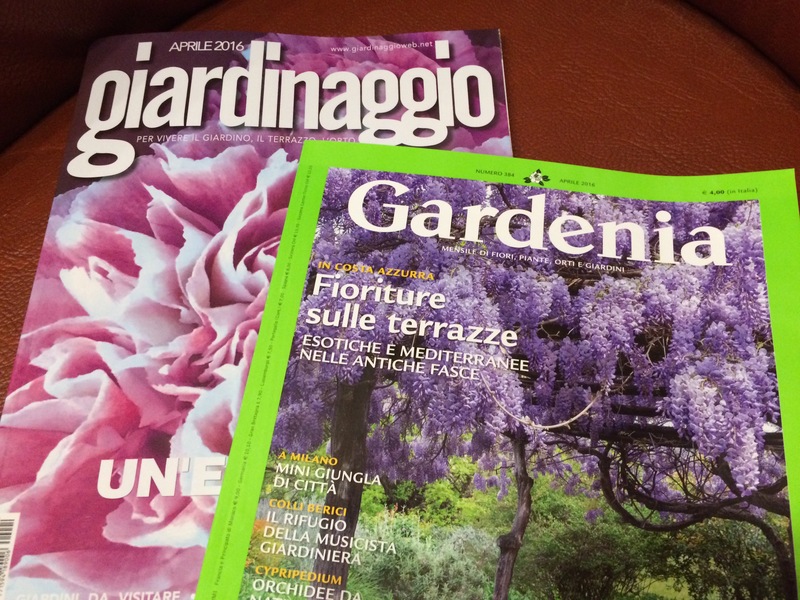 Italian gardening is not fussy. Simple and green with a tad of color thrown in here and there with plants that don’t get much water is the way to go. So, in this case, ivy and two kinds of asparagus ferns. There may be a lime Cypress of some kind in there too. 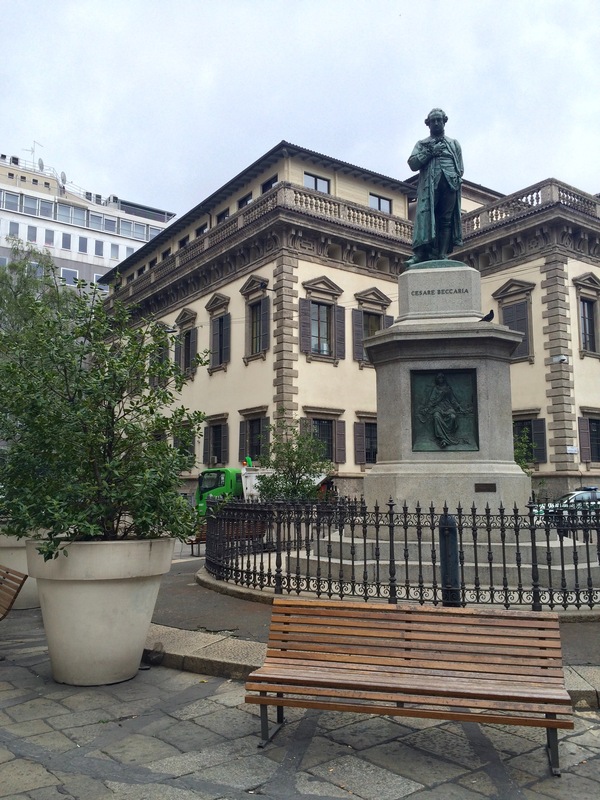 While walking to the statue erected for a famous jurist who helped to abolish the death penalty in Italy, I was having more trouble trying to correctly pronounce his first name without it sounding Spanish. Then I noticed the Italian buckthorn in these gigantic planters. I’ve seen them often in magazines, but this was the first time I’d seen them in situ and they looked really nice around the monument. 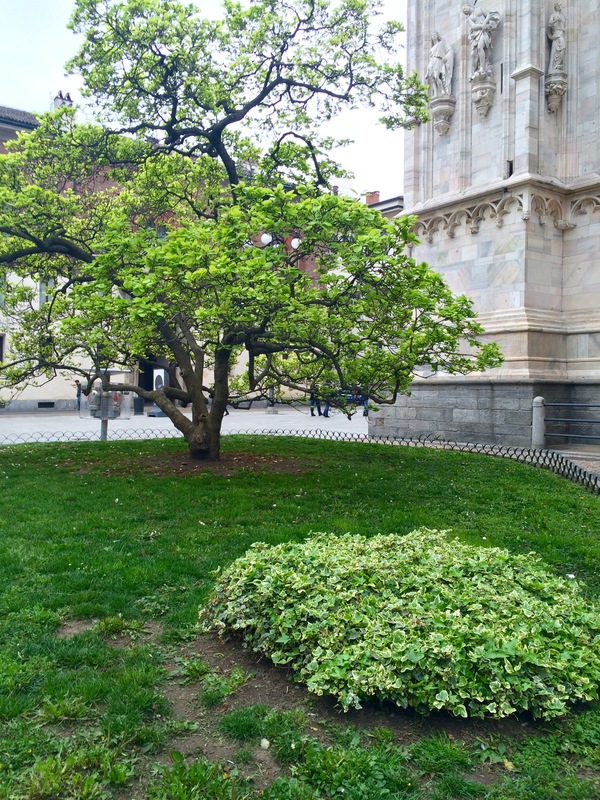 At the rear of Il Duomo there are two magnolia trees planted near the corners. Probably not my first tree choice for this building, but someone had to pick something and these were it. To balance them out, or else to confuse folks like me, they have matching little clouds of ivy growing in the grass areas with them and very nice metal edging. Upon our return to the hotel I noted a small elderly man perched on the edge of one of these boarders and I had to admit to myself that I was impressed. He seemed restful. Not sure I could have pulled that off. The usual suspects inhabited most windowsills but this one reminded me of the south a bit more with its Agaves and cycads. 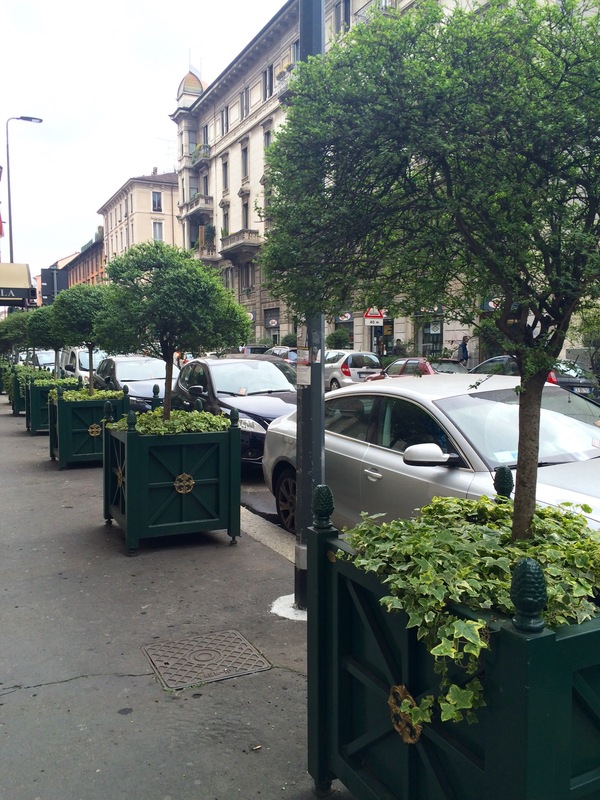 Long rows of standardized Lonicera with ivy at their base grow in these pretty planters not far from our hotel. One more example of how simple plantings can be in this town. This seemed oddly simple and elegant as we walked past it. Wild blooms are somehow more controlled on this Forsythia. Courtyard plantings amaze me here and this one at The Duomo Museum was interesting seeing as it was filled with things I like in a combination that may make many of my friends cringe a little. Yet to me, it works quite well. Little Ophiopogon is marched into little tight lines inside of a rectangle made with pumice bricks, mulches in small pumice stone, that’s then surrounded by tumbled white marble. 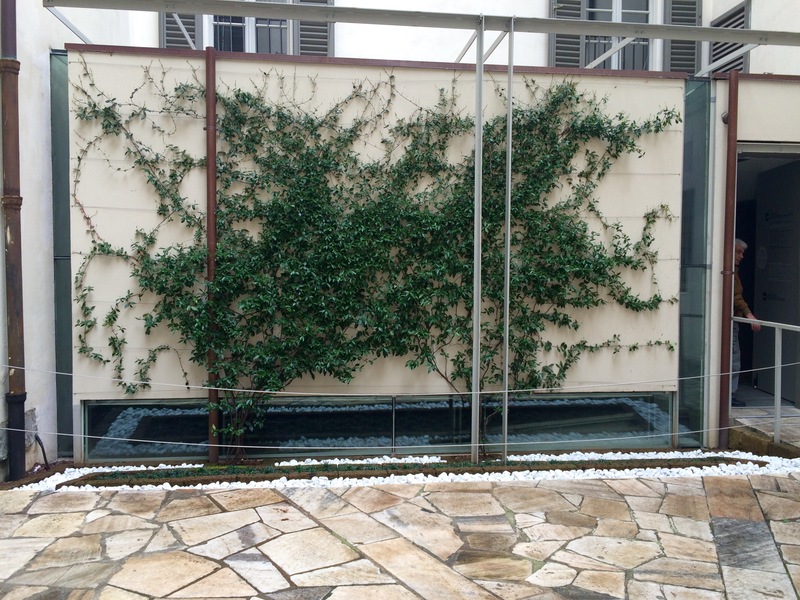 Above, the courtyard wall is covered in star jasmine. I couldn’t have loved this combo more. 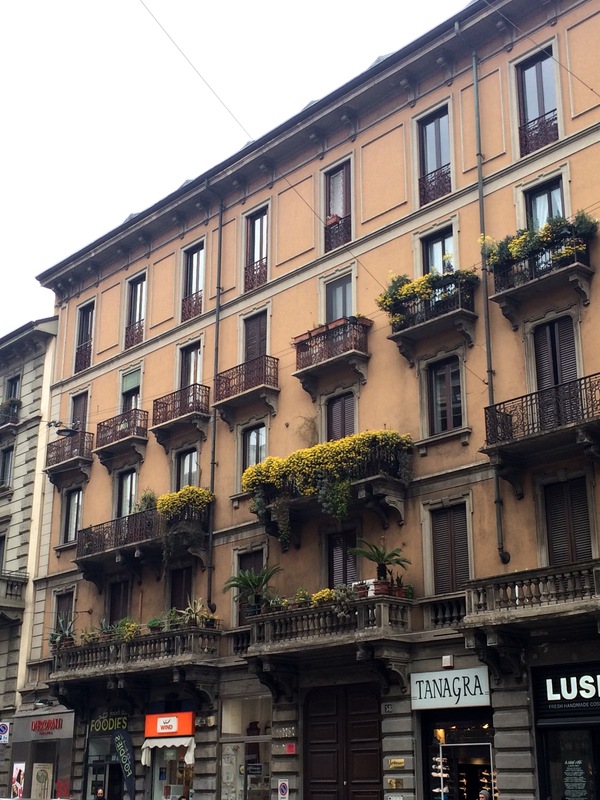 So these are just a few random thoughts from Milan! More to come! As I sit in a state of collapse in the van after work , I found these photos so beautiful and refreshing. Such well written prose, as well. Glad you liked them. Thanks for the writing encouragement too. 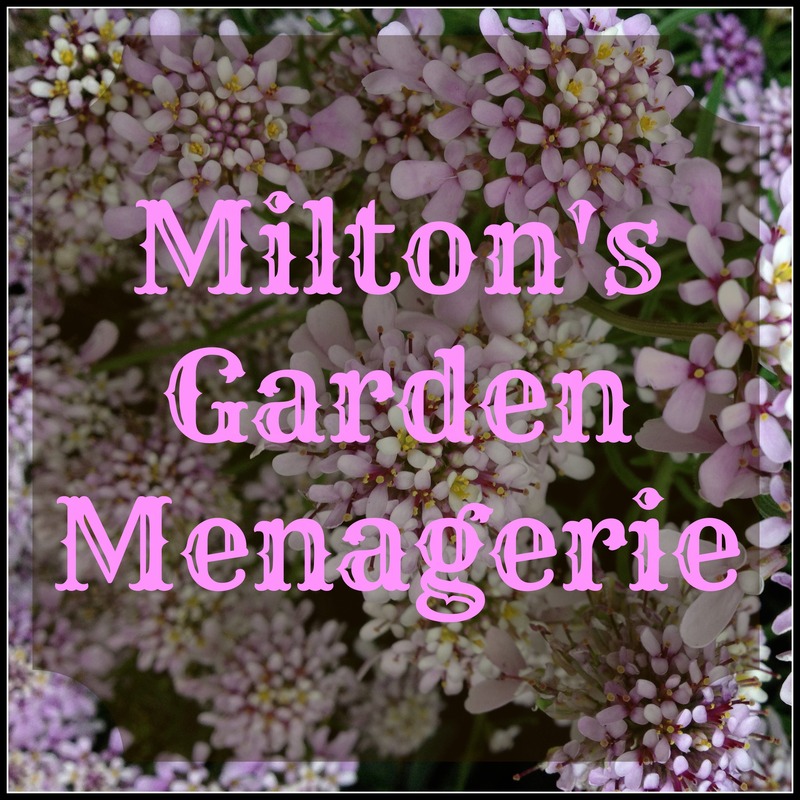 I expect that will improve a bit as the vacation moves on and I’m writing more. Garden Tour Nancy loved it, too. She loves Italy. Love it! 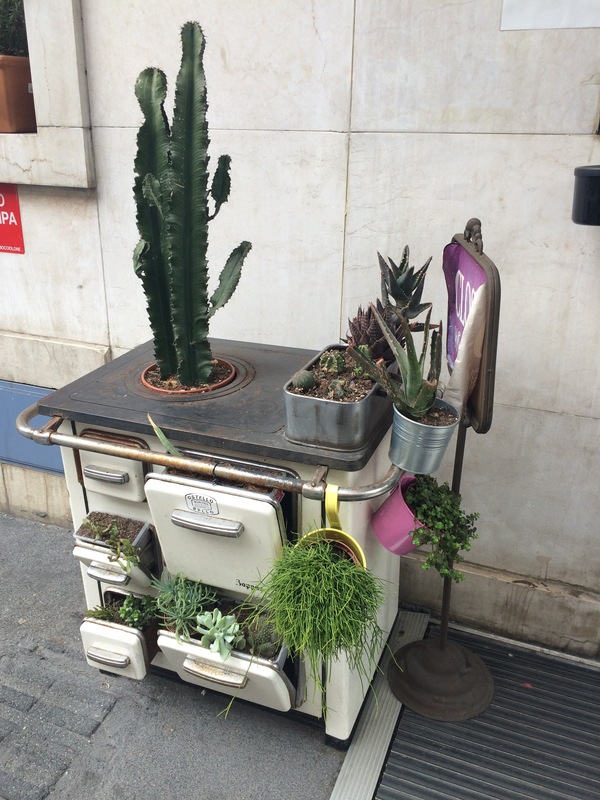 Keep them coming…I adore that planted oven – excellent find! Definitely going to keep it up this time! That was my first post from my iPad. I hope to try posting from my phone too. 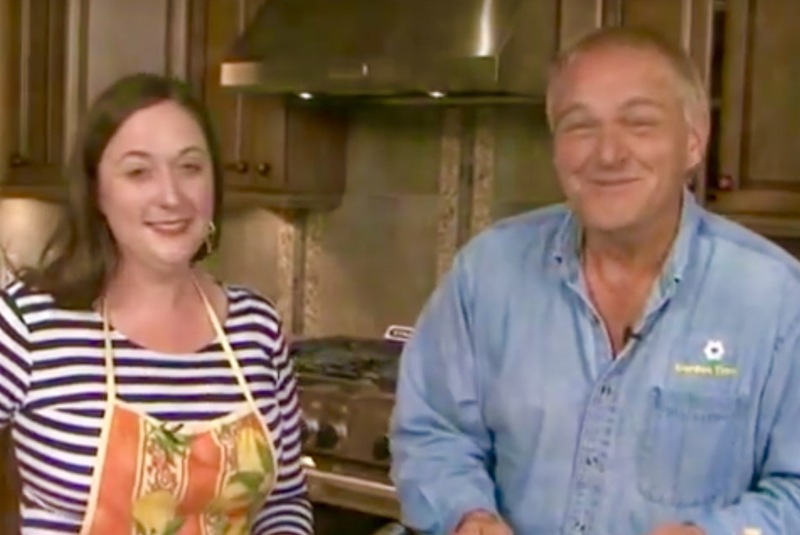 Loved that oven! Wonderful! Thanks for the fun travel glimpses! Love the oven! The lawn with the ivy “clouds” seems odd to me. I like the mini mondo grass with the star jasmine and the old brick. The white stone is a bit glaring to me, but overall it works. Thanks for sharing your sightings! Looking forward to more! Enjoy your travels, ciao bella! I feel so badly admitting we were near there and we neglected to see it. I wanted too but it just was not going to work out. Me too! I have an old wood stove in the basement and I should either use it for something like this or sell it this summer. It would be perfect.